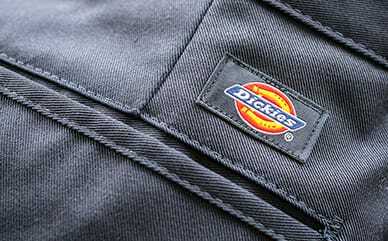 Keep it casual with the relaxed fit design of Dickies’ Relaxed Boot Cut Denim Jean. Sitting slightly below the waist, with a roomy fit through the seat and thigh, these pants will be your go-to on long days. The spandex fabrication makes them stretchy enough to keep you comfortable, while the reinforced rivets keep it strong. Classic 5-pocket styling are perfect for storing your necessities, while the contour waistband makes a perfect fit without gapping.